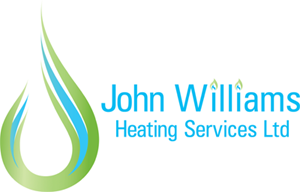 Business owners John and Debbie Williams, of John Williams Heating Services, are proud to be the sponsors of Chippenham’s first ever Soap Box Derby. John and Debbie are delighted to be sponsoring the go-kart race which takes place in Chippenham High Street on Sunday 25th June between 11am-4pm. Debbie Williams said: “We are thrilled to be supporting such an innovative and fun community event. Chippenham is home to an incredible amount of talent and this is a fantastic opportunity for residents of all ages to showcase those skills. 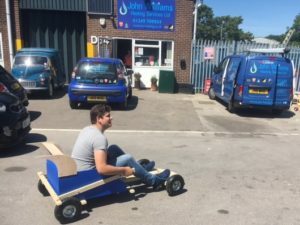 The Soap Box Derby is a race of hand built non-motorised karts. Teams of four will race them as fast as they can from the bottom of Market Place, through the High Street and onto The Bridge. Debbie said: “We are ente ring three teams – one in the junior class and two in the senior class. We will also have a stand in the high street with special visitor Bobby the boiler!” Our drivers for the karts range in age from 13 up to 72 showcasing what a great event it is for the whole family! Feel free to pop by and come and cheer us on between 11am and 4pm! The judging criteria is based on speed, along with design flair and each team’s showmanship on the day. The event is backed by Chippenham Connected and Chippenham Town Council.